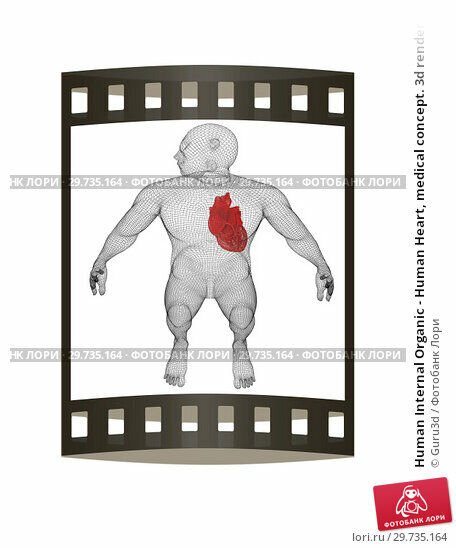 Human Internal Organic - Human Heart, medical concept. 3d render. Film strip.